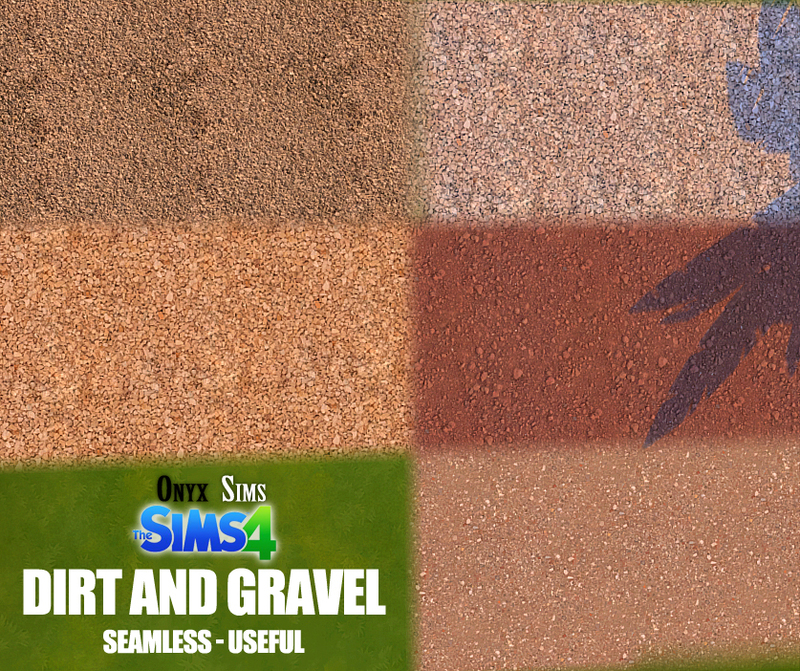 Dirt and Gravel Terrain Paints in 5 different textures. 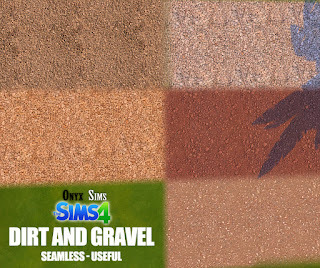 Completely seamless. 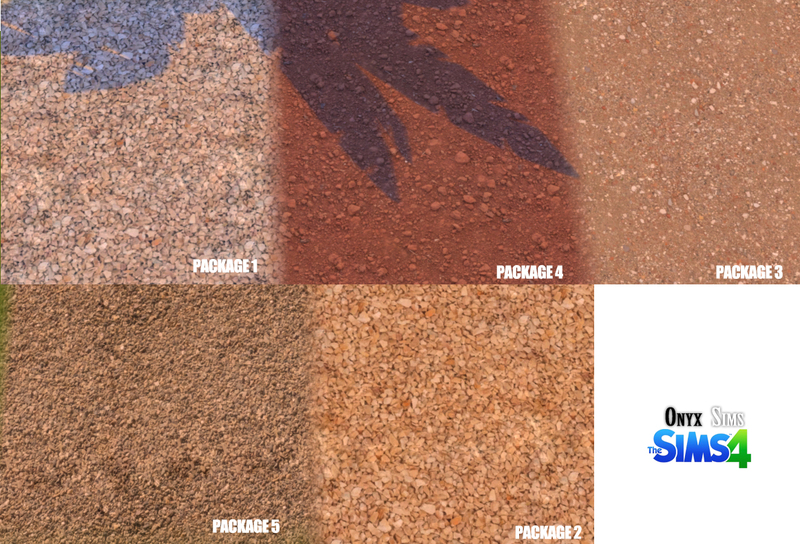 You can download each package individually or all 5 in 1. 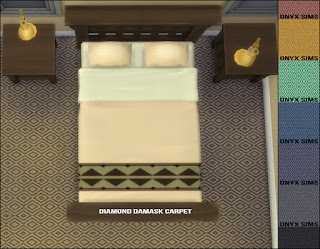 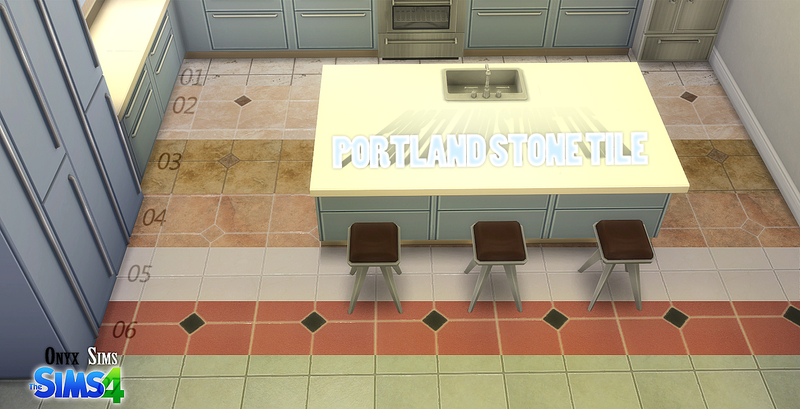 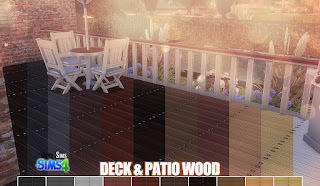 Please if you recolor or edit anything, prove a link back to Onyx Sims. 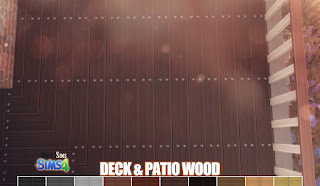 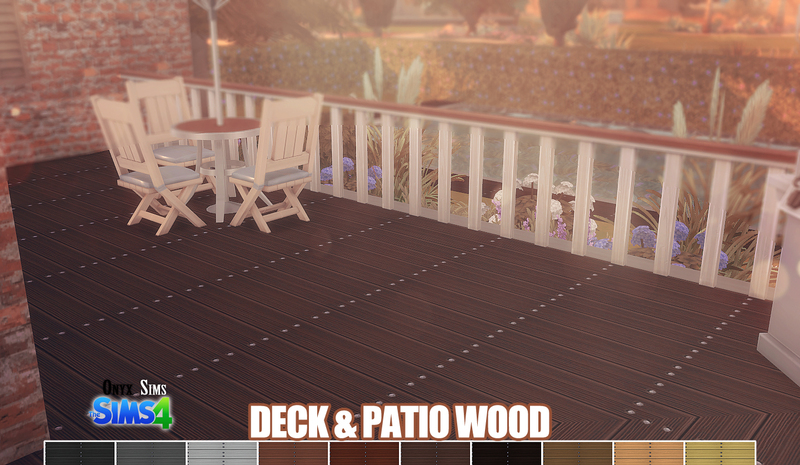 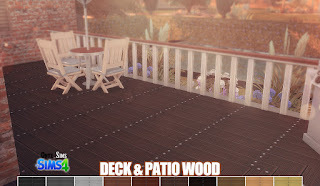 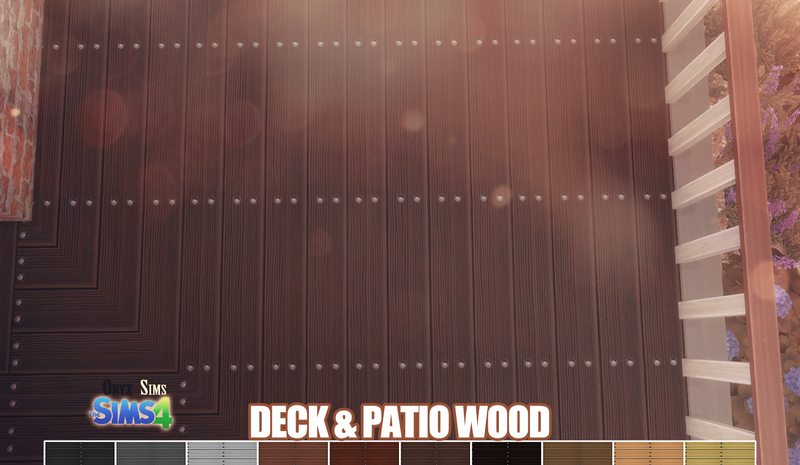 Deck and Patio Wood floors - 10 colors - seamless pattern. 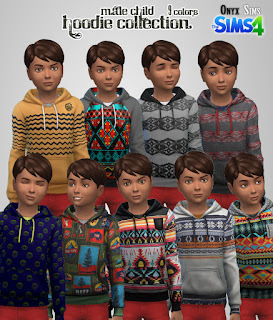 I made these hoodies back in the early days of S4 CC creation when recoloring was still in the beta beta stages. 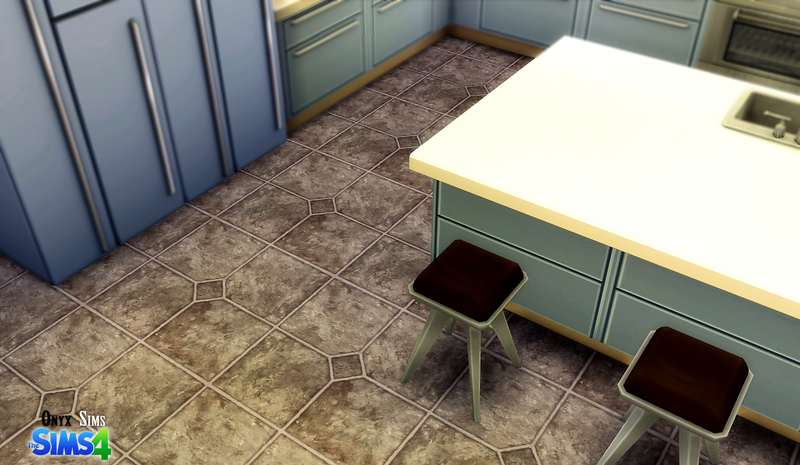 I had totally forgotten about them because they had this weird bumpy blocky shoulder going on. 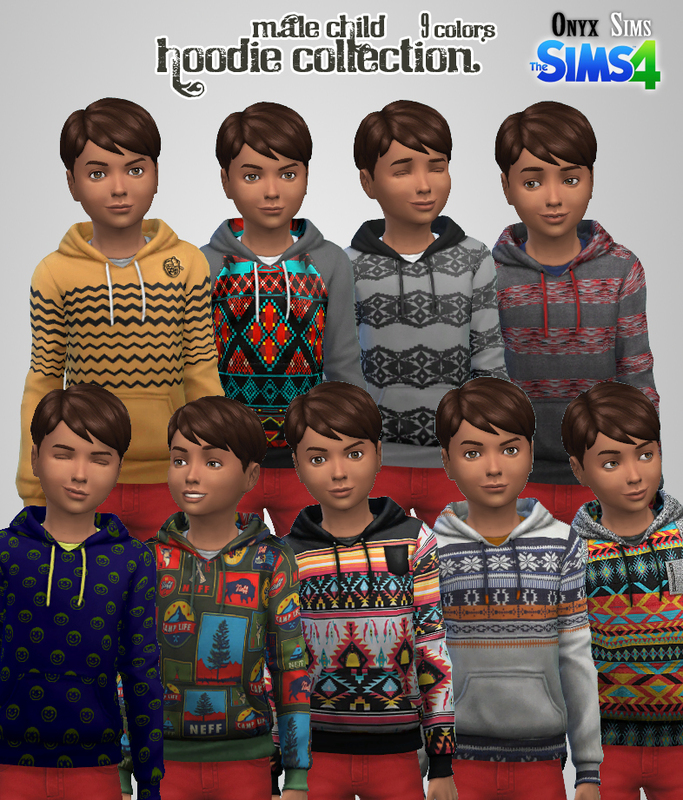 Now I was able to reload my recolors using a more updated recoloring system and present you guys with these lovely hoodies. 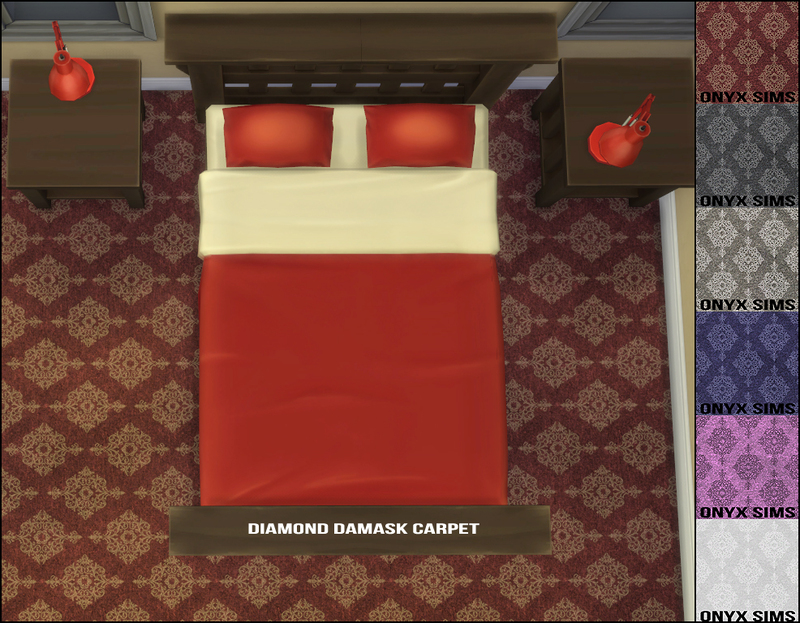 They are only for male children, however if you'd like them to be unisex I can upload a second package for that as well. 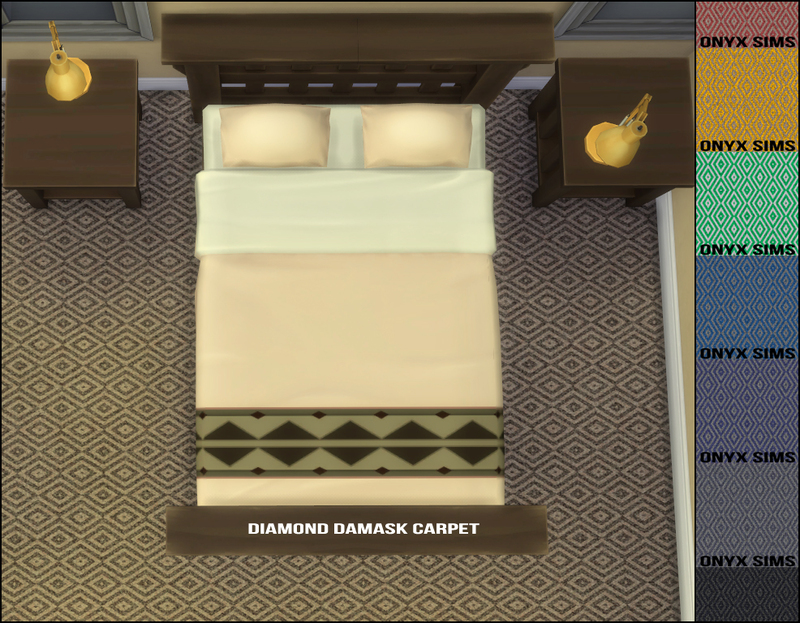 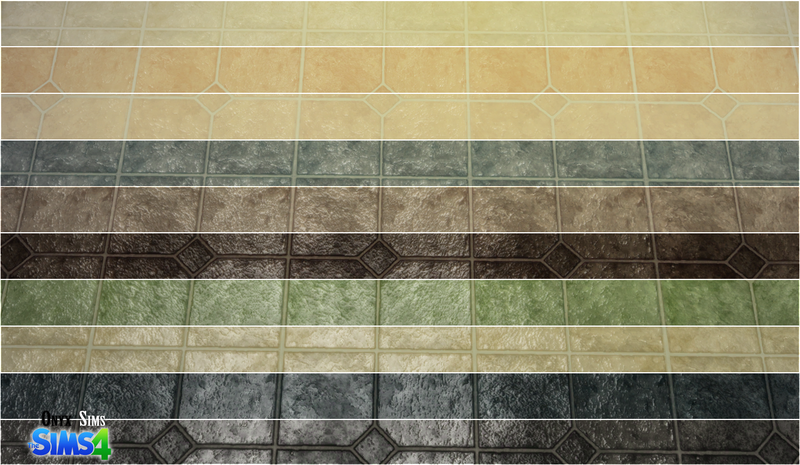 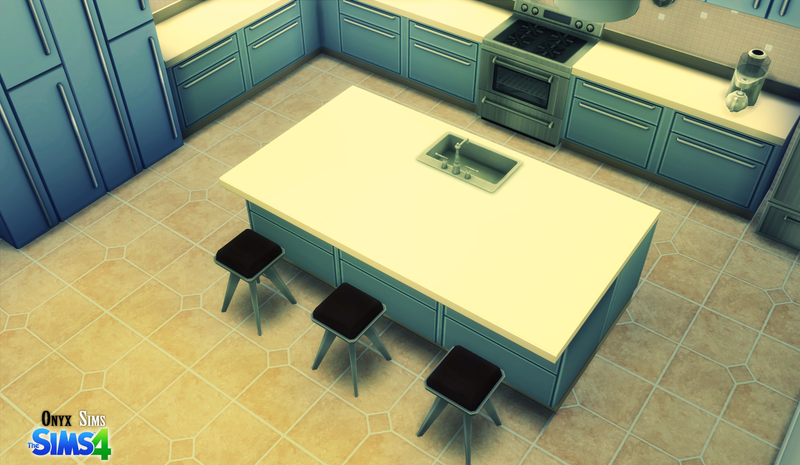 Chatsworth Vinyl Tile has 10 recolors, cost you $2 per 1x1 square and has working specular and normal maps. 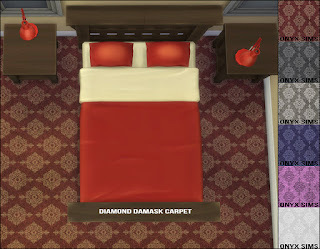 Lips for female sims aged elder to teen - 5 colors to fit across all skintones. Works well with skin detail overlays.